As there is a genetic trait for lazy eyes in my family (I had a squint as a child and have virtually no sight in one eye), I was looking for signs of eye problems from day one. Ollie’s eyes appeared to be straight and focused but one of Zara’s had a tendency to wander in and she didn’t focus well. We were under the care of SCBU at West Middlesex for a long time and over the months the doctors conceded that Zara needed to see a specialist and we were referred to a clinic in Hounslow. The ophthalmologist was quite vague and said there was little that could be done before Zara was 2 but they thought she was virtually blind in her left eye and the squint was very severe. After the clinic cancelled the next 2 appointments and lost her notes we decided to brave the hideous journey and transfer to Moorfields Specialist Children’s Eye Hospital in London. We had her first appointment there with a specialist children’s squint consultant and surgeon just before she turned 2. As you can probably imagine it’s quite tricky to accurately test the sight of a fidgety 2 year old who can’t read the letter charts. However, although I don’t pretend to fully understand them, there are many tools an ophthalmologist uses to get a good idea of the problem, including pupil dilation drops, machines, lights and pictures to identify from different distances. Zara wasn’t too bothered by any of the tests and the consultant ascertained that the sight in her left eye was minimal, her right wasn’t great and the squint was unlikely to disappear on its own as mine had done by the time I was 2. To eliminate the squint we needed to try to improve the vision in the left eye by glasses, patching the good eye and, as a last resort, surgery. We would need to visit Moorfields every 6 to 8 weeks for monitoring. Although we were tackling the problem fairly early, despite what we’d been told at the other clinic, Moorfields see and treat much younger babies. We had a prescription and 2 days later we collected Zara’s glasses. She did fling them on the floor every time I put them on for a while but with persistence and reinforcement that she could see better with them on, she did wear them. On our next appointment at Moorfields the ophthalmologist took one look at Ollie and identified what I had noticed only 2 days before and tried to ignore, that Ollie had suddenly developed a squint and lack of focus too, in the opposite eye to Zara. It turned out he had the same problem and also needed glasses. We were also advised to start patching their good eyes for 2 hours a day. This I wasn’t looking forward to. Ollie got his glasses and took to them OK, especially as he’d been jealous of Zara’s anyway. Then we started to work up the courage to start patching. The first attempts, despite trying to make it into a pirate game, were stressful and ended up with hysterics and hiding under the table (including me). Then after a period of chickening out of trying again, like any good parent I decided that bribery was the answer. Putting a timer on and getting them to wear the patch for 1 minute, then 5 minutes and so on and rewarding with chocolate or distracting them with activities, we eventually built up to 2 hours (with the occasional persistent replacement of a patch they removed or hid, which we still get today – I have gone through a whole day out without realising one of them had stuck a patch to my bum). They got to watch loads more TV, on the advice of the consultant, which they obviously liked. You can also get patches in different colours and patterns with picture charts to stick them on afterwards which all helps. At the appointments the tests got easier as they grew familiar with the pictures and could speak more clearly, and further dilation drops were carried out to make sure the prescriptions were right. Especially in the early days we practically lived at the opticians getting frames un-bent and scratched lenses replaced but Robert Friths Opticians in Twickenham were great and very understanding thank goodness. Over the months the vision in both of their weaker eyes increased thanks to the patching and glasses but the squints were difficult to get rid of and we were left with the more extreme outcome of surgery. Both had squint correction surgery in February which helped a lot and this may need to be repeated next year for fine tuning. The sight improvement has reached a plateau so we are hoping the patching can be cut down to 1 hour a day after our next appointment. 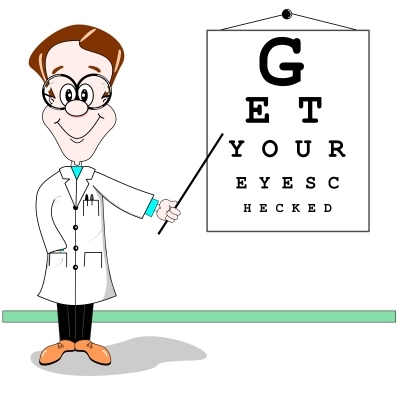 It is a gradual weaning off process to ensure the vision improvement isn’t lost. Through the process I’ve learnt that vision and squint improvement isn’t an exact science, everyone is different and that it can be a marathon rather than a sprint to get to the end result but I would say it’s good to investigate problems or suspicions early and start at a young age to get the best results possible for later life.